Sensory information processing is difficult for those with autism. This fact has long been known. But while this fact is widely accepted, there has been disagreement on whether people with autism experience sensory information less intensely or more intensely than others. A new study lends support to the idea that people with autism sense things more strongly than others. Sensory Information Processing is about how our brains manage the information we receive through our sense of taste, touch, smell, sight, and sound. Example of sensory information would be a pot of cheery, red geraniums in an otherwise dreary classroom; soft music playing in an elevator, bright lights in a hospital emergency room, or the smell of intestinal gas in an enclosed space. How we react to these examples of sensory information depends a great deal on how our brains perceive them. For one person, having the fan on in the bedroom at night serves as the white noise needed to ensure a good night’s sleep; while for another person, the noise is so noticeably loud that it prevents sleep. The Intense World Theory of Autism, developed in 2007 by Kamila and Henry Markram puts forth the idea that the brains of those with autism are overdeveloped as opposed to underdeveloped. This would mean that a soft sigh, for instance, might sound like a scream to someone with autism. Since people with autism experience everything too strongly, they melt down or withdraw or engage in self-stimulating behavior (stimming) which seems to calm the senses. 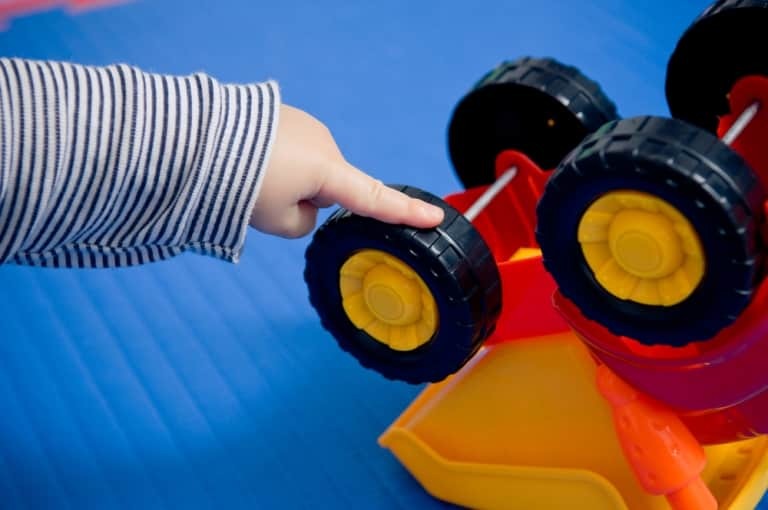 A boy with autism and Down syndrome engages is self-stimulating behavior (stimming). In the new study, researchers discovered that adding structure and predictability to sensory information makes that information more tolerable to those on the autism spectrum. Knowing that certain sensory information will be experienced at a specific time allows people with autism to control their responses to that information more easily. This, in turn, allows the person with autism to tolerate and experience and learn more about the good things in life that are all around us. It also helps him to learn what he needs to know with fewer distractions posed by his surroundings. 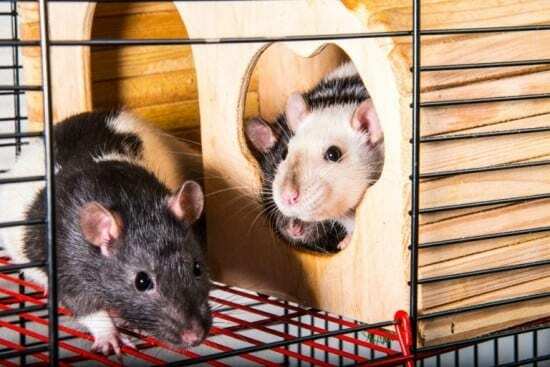 Scientists at the Swiss Federal Institute of Technology in Lausanne (EPFL) induced autism in rats by exposing them to the drug valproate as the male animals were developing in utero. This is a drug prescribed for epilepsy and for stabilizing mood, but the drug is known to cause birth defects. One of the risks of taking this medicine while pregnant is a 6-90 percent increased risk for autism in the developing infant. The grown rats exposed to valproate as fetuses didn’t spend as much time socializing or playing with their peers, were more anxious, more frequently engaged in repetitive behaviors, and more easily formed fear memories. An example of a fear memory is when a baby develops a healthy fear of touching a hot furnace after touching one and experiencing pain. Earlier studies had suggested that offering a more stimulating environment was helpful to rat development. In the earlier studies, scientists compared the development of rats exposed to more sensory information to those left alone in cages. But when reading the earlier studies, the Swiss scientists realized that the trials hadn’t factored in the predictability of the sensory “enrichment.” That seemed like a good pathway to getting some interesting results and so the scientists decided to design their study in such a way as to test the effects of environmental predictability. The Swiss researchers set up three study groups. In one group, there were three rats to a cage and they received no special enrichment. A second group of rats had larger cages and five more peers to play with. They also had a running wheel, climbing ramps, many hiding tubes, toys, scented tissues, and in addition to their usual rat food, dried fruit and cereal. In the third study group, half of the rats in the enrichment group had changes made to their environment every few days. They’d get different toys, different smells, and they’d have climbing ramps in new locations. Rats not exposed to valproate had no trouble with having their enrichment program changed here and there. They were happy to have lots of stuff to do. But the rats exposed to valproate, the unpredictability of having their environments changed was just as bad as being shut up alone in a cage. Their stimming and antisocial behaviors were exactly the same as were their anxieties and fears. The valproate-exposed rats in the predictably enriched environment, on the other hand, did much better. They still show repetitive behaviors, but the rats in this group were friendlier and didn’t seem to be as anxious or fearful. They knew what to expect, so they were able to develop trust in their surroundings. As a matter of fact, half of the rats in this group showed no absolute signs of autism whatsoever. Interviewed by Healthline, Dr. Kamila Markram said, “Just by introducing predictability and a lot of structure, and eliminating any type of surprise in this type of enriched environment, you can eliminate some of the crucial autistic symptoms, such as increased anxiety and fear memory formation,” Markram is the director of autism research at the Laboratory of Neural Microcircuits at EPFL and the supervisor of this study. Early studies on autism suggested that the connections between different brain regions were weaker in those with autism. There was some confirmation of this idea when functional MRI scans were done. But in this new study, the scientists found that brain cells in the rats with autism were on the contrary, hyperactive, firing off signals more often and in response to less stimulation. There was also a closer connection to nearby cells in the brains of rats with autism. For this reason, rats developed new synapses or brain connections, faster and more strongly than for the rats without autism. The scientists saw clear signs that the brains of rats with autism are hyperfunctional or working at an increased or excessive rate. In the Healthline interview, Markram explained that brain function is based on units called neural microcircuits. “These microcircuits react and process information much stronger, [and] they can learn much more and remember longer. The Intense World Theory proposes that having such powerful units makes orchestration difficult — like trying to play a piano with a million run-a-way keys,” she said. 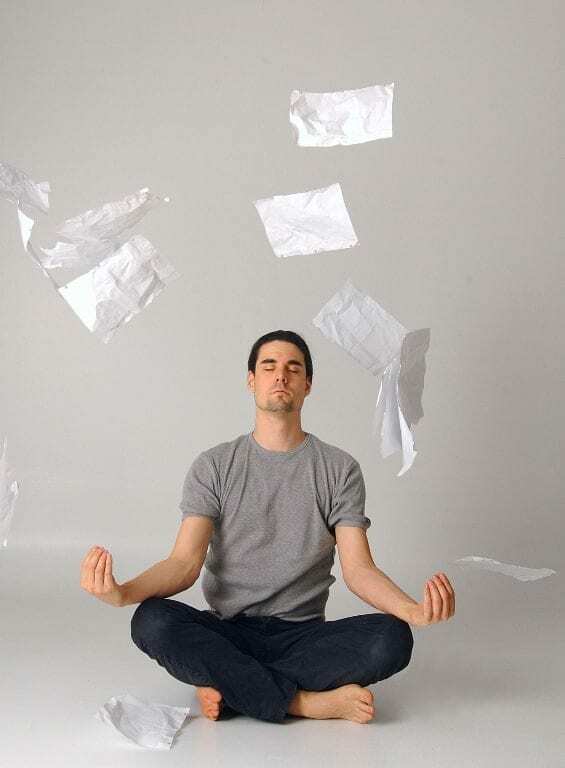 Meditation is one way neurotypical people block out their surroundings. Markham said that while people with autism find it hard to see the big picture, the individual sensations they experience are magnified. While every individual will experience this in a different way, depending upon which microcircuits are activated, in the rats, most of the hyperfunction was seen in the amygdala. The amygdala is the brain region responsible for anxiety and for learning fear memories. In the person with autism, the over-firing occurring in this part of the brain makes life very scary and much too intense. It takes very little stimulation for a person with autism to develop a fear memory and therefore, try to avoid things that would not seem frightening to others. One example of how people with autism cope with their hyperfunctioning brains is in their tendency to avoid eye contact. What they see when they look into another person’s eyes is overwhelming to them, a sort of sensory information processing overload. Eye contact floods their amygdalae, creating anxiety. Looking away is like closing the floodgate and helps the person with autism to control his feelings. But if a person with autism knows that enrichment will occur in specific ways at specific times, it also helps him to control these feelings. When enrichment is predictable that means fewer avoidance behaviors which means greater opportunities for learning about life. 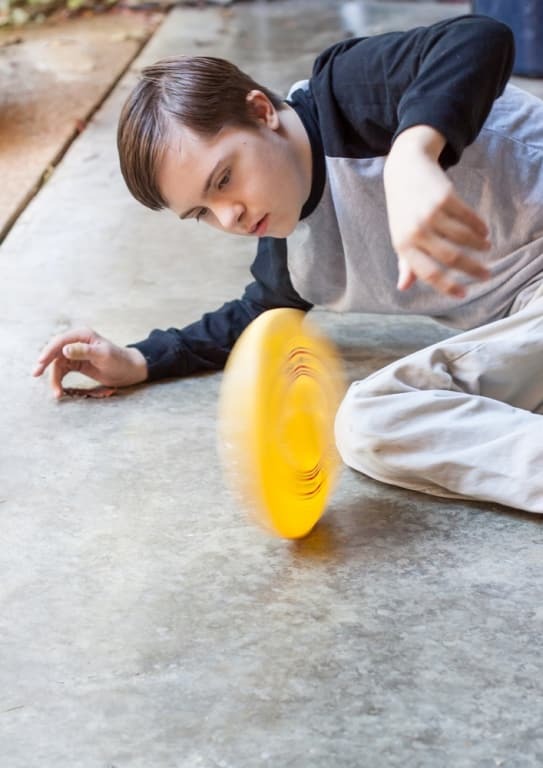 Predictability allows the person with autism to experience more of life without so much anxiety, and without the need to avoid stimulation, because that stimulation is predictable and can therefore be managed. Markham says that for the person with autism, life isn’t simply intense; it’s also “aversive” causing the person with autism to retreat from stimuli/life. The result of this is that enrichment becomes something to run away from, rather than a learning experience. In the same way, people become something to avoid, instead of presenting opportunities for communication and interaction. The notion that predictability offers a measure of control over brain responses also helps explain why stimming is so important to those with autism. Such self-stimulating behavior, repeated over and over again, brings on a sense of the familiar. It’s predictable and therefore comforting. Stimming is the effective means by which people with autism keep their intense feelings and responses under control. Some people like surprises and others thrive on predictability. But for people with autism, the threshold for surprises or novelties is very low. Anything new is experienced as chaos. As any parent of a child with autism knows, it’s very important to develop a structured schedule and to stick to it no matter what. This satisfies the need of the child for sameness and prevents meltdowns and avoidant behaviors. The new study explains the reason why structure and sameness work and this newfound knowledge suggests a way forward in our approach to the child with autism.